Logitech warrants to the original purchaser that your Logitech hardware product shall be free from defects in material and workmanship for the length of time, identified on your product package and/or at www.logitech.com under specifications for your product, from the date of purchase (or delivery as may be required in certain jurisdictions). You may also find this information by selecting your product in the Online Support section of our website at support.logitech.com. Except where prohibited by applicable law, this warranty is nontransferable and is limited to the original purchaser and the country in which the product was purchased. This warranty gives you specific legal rights, and you may also have other rights, including a longer warranty duration that may vary under local laws. The first thing to do if you think you may have a warranty claim is to visit support.logitech.com where you will find a wide range of Support and FAQ pages with valuable technical assistance. If you do not find a solution on our website, please contact the retailer from whom you made your purchase. Valid warranty claims are generally processed through the point-of-purchase retailer during the first thirty (30) days after purchase. This period of time may vary depending on the retailer. If your warranty claim cannot be processed through the point-of-purchase retailer, please visit our Support Warranty FAQ section to find out how to contact our Support department. Logitech’s entire liability and your exclusive remedy for any breach of warranty shall be, at Logitech’s option, (1) to repair or replace the hardware, or (2) to refund the price paid, provided that the hardware is returned to the point of purchase or such other place as Logitech may direct with a copy of the sales receipt or dated itemized receipt. Shipping and handling charges may apply except where prohibited by applicable law. 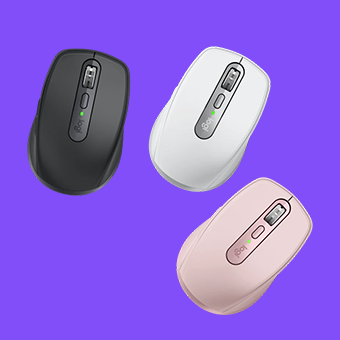 Logitech may, at its option, replace your product, offer to provide a functionally equivalent product, or repair any product with new, refurbished or used parts as long as such parts are in compliance with the product’s technical specifications. Any replacement hardware product will be warranted for the remainder of the original warranty period or thirty (30) days, whichever is longer, or for any additional period of time that may be applicable in your jurisdiction. This warranty does not cover problems or damage resulting from (1) accident, abuse, misapplication, or any unauthorized repair, modification or disassembly; (2) improper operation or maintenance, usage not in accordance with product instructions or connection to improper voltage supply; (3) use of consumables, such as replacement batteries, not supplied by Logitech except where such restriction is prohibited by applicable law; (4) lost parts that were originally supplied with the Logitech hardware product; (5) non-Logitech branded parts and accessories even if sold with the Logitech hardware product; (6) non-Logitech services that may be accessed or controlled with a Logitech hardware product; or (7) normal wear and tear. This limited warranty does not, under any circumstances, cover the replacement of or reimbursement for any electronic device or personal property that is not a Logitech product. This warranty also does not cover Logitech products used by businesses for the purpose of providing end users with Internet access for a fee. LOGITECH SHALL NOT BE LIABLE FOR ANY SPECIAL, INDIRECT, INCIDENTAL OR CONSEQUENTIAL DAMAGES WHATSOEVER, INCLUDING BUT NOT LIMITED TO LOSS OF PROFITS, REVENUE OR DATA (WHETHER DIRECT OR INDIRECT) OR COMMERCIAL LOSS FOR BREACH OF ANY EXPRESS OR IMPLIED WARRANTY ON YOUR PRODUCT EVEN IF LOGITECH HAS BEEN ADVISED OF THE POSSIBILITY OF SUCH DAMAGES. Some jurisdictions do not allow the exclusion or limitation of special, indirect, incidental or consequential damages, so the above limitation or exclusion may not apply to you. EXCEPT TO THE EXTENT PROHIBITED BY APPLICABLE LAW, ANY IMPLIED WARRANTY OF MERCHANTABILITY OR FITNESS FOR A PARTICULAR PURPOSE ON THIS HARDWARE PRODUCT IS LIMITED TO THE DURATION OF THE APPLICABLE EXPRESS WARRANTY PERIOD FOR YOUR PRODUCT. Some jurisdictions do not allow limitations on the duration of an implied warranty, so the above limitation may not apply to you. Consumers have legal rights under applicable national legislation governing the sale of consumer goods. Such rights are not affected by the warranties in this Limited Warranty. In Brazil, remedies include the consumer’s option to keep the defective product and receive a proportional price reduction. No Logitech dealer, agent, or employee is authorized to make any modification, extension, or addition to this warranty. Please note that, in the European Union, any warranty period less than two years shall be increased to two years.